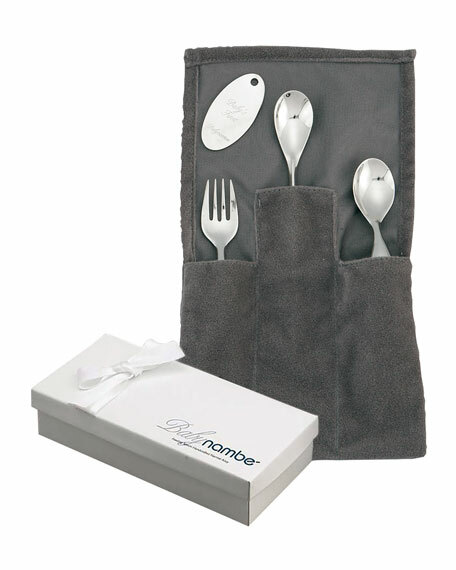 Nambé three-piece feeding set from the Baby Nambé collection. 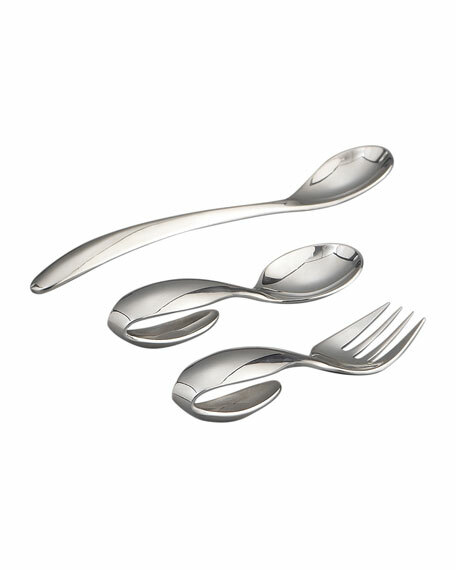 Includes loop spoon, loop fork, and feeding spoon. Arrives in exclusive gift box.